Between early 2000 and late summer 2001, three movies about the planet Mars opened in theaters nationwide. Ghosts of Mars (the sci-fi/horror flick that I'm reviewing) happened to be the last one to come out (the other two were Mission to Mars and Red Planet, both box office duds). Normally, this would be a disadvantage but to put it mildly, this 17th feature film by one of my favorite directors (John Carpenter) of all time, happens to be a complete misfire entirely on its own. There isn't a whole lot that can save this movie. It copies a little off of his own, much better work (the fight scenes are solid but they seem straight out of Big Trouble in Little China and the plot elements echo a little from the critically acclaimed Assault on Precinct 13) and in general, it feels like a rushed production complete with a bland opening credits font. Now granted, what Carpenter did with his earlier films is justifiably good. 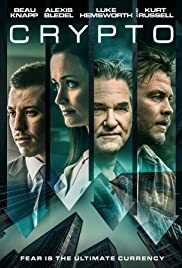 They had a low budget look to them like this one but they also had an admirable story, solid direction, reputable acting, and above all, a good script. Ghosts of Mars doesn't really have any of these things and if it did, I was totally unaware after a mid-day viewing. I'm sad to say that this a clear hack job from someone who I will always think of as a master of terror and suspense. Since "Mars," he has only made one more feature film in the past twelve years (The Ward). I'm hoping that this misstep didn't shake his confidence, or did it? Projecting itself as an exercise with many unhinged flashbacks (heck, the whole hour and a half running time is told in one large flashback) and exhibiting a rushed sort of unpolished opening credits sequence (not to mention showing a rather cheap looking set design right off the bat), Ghosts of Mars tells the story of how the red planet is a colony and almost all of it is a livable type of atmosphere for humans. A team of police officers led by Commander Helena Braddock (a wooden Pam Grier) venture to Mars and must take on a prisoner transfer (James Williams played by Ice Cube). While there, they discover that the planet is overrun by possessed humans (of an extreme violent nature) who sort of look like a cross between Linda Blair (The Exorcist) and zombies with lots of make-up. Like I said earlier, this flick is told in the form of flashbacks upon flashbacks with Carpenter using a lot of dissolves (fade ins and fade outs) that just add to the cheese factor. I know he's a better director than this and I've seen what he's capable of. I don't know. Maybe he didn't have total creative control. That I guess, remains to be seen. With all the nonsense going on in "Mars," the one true bright spot might be the inflicted martial arts-inspired action sequences set to Carpenter's rather subdued heavy metal soundtrack. In terms of casting, I think Ice Cube (James 'Desolation' Williams) gave pretty much the best performance. Listen, the guy is no Laurence Olivier, but he fit his role like a glove and had a lot of fun with it. In the lead role, Natasha Henstridge (Lt. Ballard who is second in command) was okay despite coming off as a little arrogant and smug. As for the rest of the cast, well they pretty much phone their performances in. In a way it seems kind of fitting to harbor acting like this in a movie this lazy and well, this contrived. In retrospect, I can't for the life of me, fathom why this motion picture took place on or had anything to do with Mars (I meant a really fake looking sound stage made to look like Mars). I mean, the whole premise was the defeating of and escape from crazily possessed, demonic entities. The red planet seemed like just a last minute background story to go along with the couple of other bad movies that it inspired. As for the plot letting us know that Mars is an okay location for human beings to survive on without proper space suits or helmets, all I gotta say is, gimme a break! Having the cast walk around the planet this way just makes their surroundings seem that much more fake. In general, Ghosts of Mars takes itself way too seriously to begin with. It's the type of disposable fluff that has "straight to DVD" written all over it. As for Carpenter, I don't know him personally but I'm sure he recovered from this debacle. Basically, Ghosts of Mars didn't have a "ghost" of a chance at fulfilling his full potential as a renowned filmmaker.